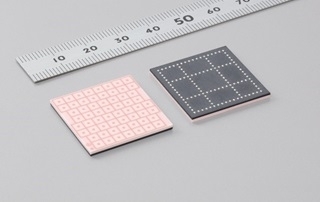 Murata has commercialized and begun mass-production of a millimeter-wave (60 GHz) RF antenna module for high-speed broadband communications that are required for creating next generation of wireless networks. The need for faster Internet communication in line with the increase in bandwidth required by Internet contents such as ultra-high definition (HD, 4K) video, augmented reality (AR), and virtual reality (VR) is growing. In addition, constructing wired networks that cover wide areas requires enormous amounts of cables and labor, and the costs of constructing and maintaining this infrastructure are very high. The new millimeter-wave RF antenna module from Murata will contribute to the creation of the next generation of wireless networks that utilize the 60 GHz frequency by supporting the IEEE 802.11ad millimeter-wave wireless LAN standard. Furthermore, Murata has designed this new module to perform well in outdoor applications such as in the base stations of telecommunications carriers. Thanks to the use of an independently developed LTCC, it realizes stable communications quality while featuring both high heat resistance and high moisture resistance. The new module can be utilized in a wide range of applications such as for communication between mobile phone base stations including next-generation 5G wireless communication, for communication between Wi-Fi hotspots, and for use in wireless communication networks in smart cities. Facilitates communication at up to 4.62 Gbps per channel and supports the IEEE 802.11ad wireless LAN standard. Realizes optimized antenna beamforming using a proprietary LTCC circuit board capable of facilitating high-precision 60 GHz band communication. In addition to communication via a standalone module, by combining multiple modules it is possible to extend the communication range and link outdoor base stations several hundred meters apart for multi-gigabit communication. Murata will contribute to the creation of next-generation networks by developing various communication modules in anticipation of the practical application of IEEE 802.11ay, for which standardization is currently progressing as the 5G next-generation mobile communication standard for the realization of even faster wireless LANs.